Foosball, or table soccer, is played recreationally by millions of people in game rooms, basements and bars throughout the world. But for some, foosball isn’t just a game. It’s a way of life. Enter the highly competitive world of professional foosball – an underground sport that has been around for over 40 years but no one knows exists. 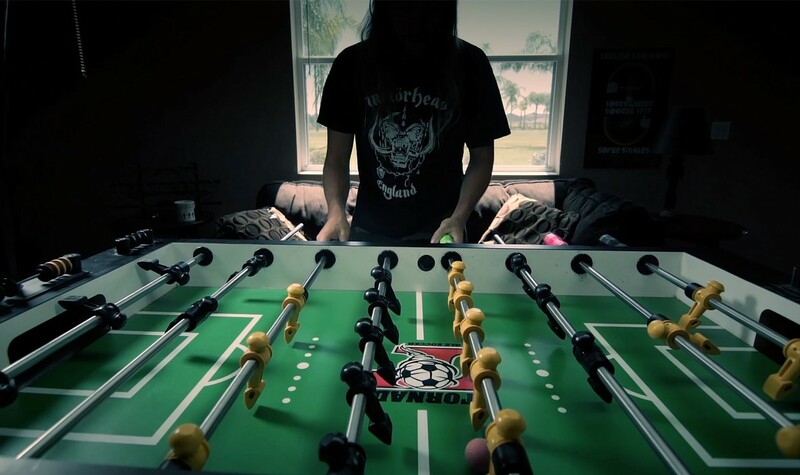 Through an ensemble cast, the documentary uncovers a forgotten piece of sports history as it follows six of the best table soccer players in the world as they prepare for the sport's most prestigious event: The Tornado World Championships. FOOSBALLERS tells the quirky and heartwarming story of these professional athletes, including Linda Ly from Calgary, Alberta. Joe Heslinga is a writer-director-producer who got his start schlepping coffee for Hollywood big wigs before getting his first writing gig on the TBS sitcom SULLIVAN & SON produced by Vince Vaughn. His credits include UNDENIABLE w/ JOE BUCK, FEAR(LESS) WITH TIM FERRIS, and the hit Netflix comedy “F IS FOR FAMILY” starring Bill Burr. FOOSBALLERS is his feature directorial debut.